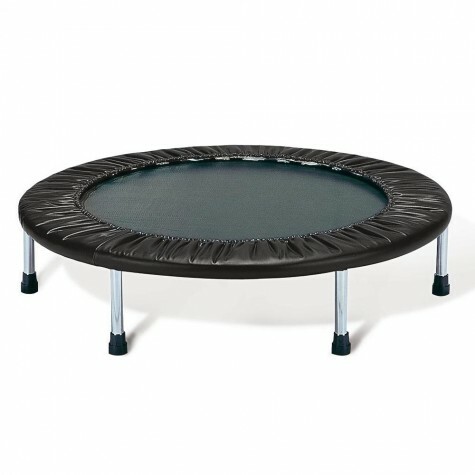 AEROBIC EXERCISE WORKOUT HEALTH & FITNESS REHABILITATION REBOUNDER TRAMPOLINE. Fitness trampolines offer aerobic exercise for toning and revitilising muscles Regular use promotes healthy and invigorating conditioning and also provides a useful aid to rehabilitation. The trampoline bed is made from a heavy duty polypropylene web and the perimeter is covered in perlon sheeting which is padded for user safety Six screw in legs provide stability. 100cm diameter x 20cm height.